Product prices and availability are accurate as of 2019-04-13 23:48:25 BST and are subject to change. Any price and availability information displayed on http://www.amazon.co.uk/ at the time of purchase will apply to the purchase of this product. Walkers Pure Butter Shortbread is baked in the secluded village of Aberlour, Speyside, in the heart of the Scottish Highlands. The shortbread is produced to a traditional recipe which has been handed down through generations of the Walker family. 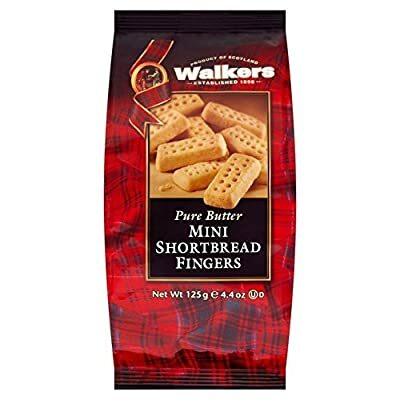 Walkers personally guarantee that this product is made using only the finest ingredients possible to obtain.Considered by connoisseurs to be the finest in the world, Walkers Pure Butter Shortbread has been established on Speyside since 1898.